This special property in Strawberry Park may be a once in a lifetime opportunity. 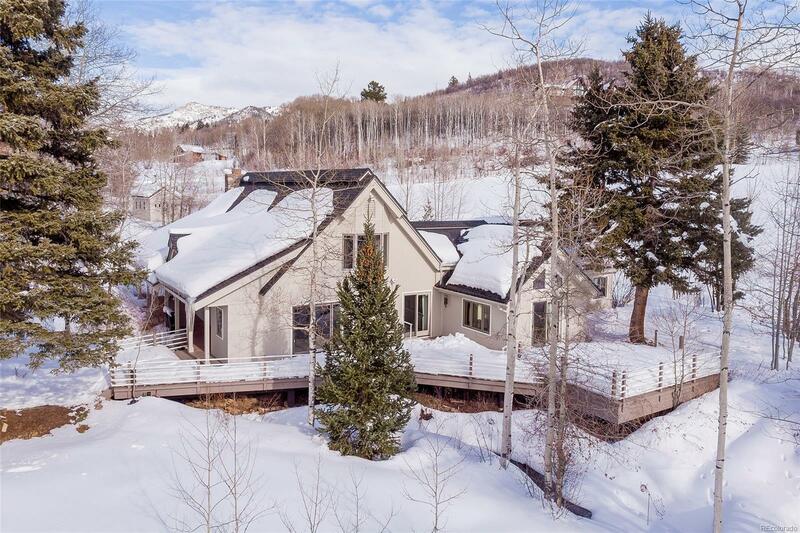 Imagine a private setting on a quiet country road, with a spectacular year round stream and an historic home that has been remodeled to the highest mountain contemporary standards. This spacious and beautiful home features 4 bedrooms & 3 baths and has been designed to maximize the outdoor space with multi level wraparound decks, covered walkway to the front door, and mature aspen & evergreen trees providing natural climate control. You wonât find a more peaceful 3+ acres with the year round babbling Soda Creek stream, gorgeous gardens, a pasture with room for horses, and visiting wildlife including great horned owls, cranes, elk, moose, and brook trout to name just a few. Highly desirable location just minutes from town at the base of Buffalo Pass and close to Routt National Forest. This exceptional home, originally built in 1946 with additions made more recently, has deep history in Strawberry Park.